A sleek, robust body finely etched with extensive knurling and a perfect finish are hallmarks of this range, but even more important is the highly practical and usable user-interface witch makes selecting modes a breeze. 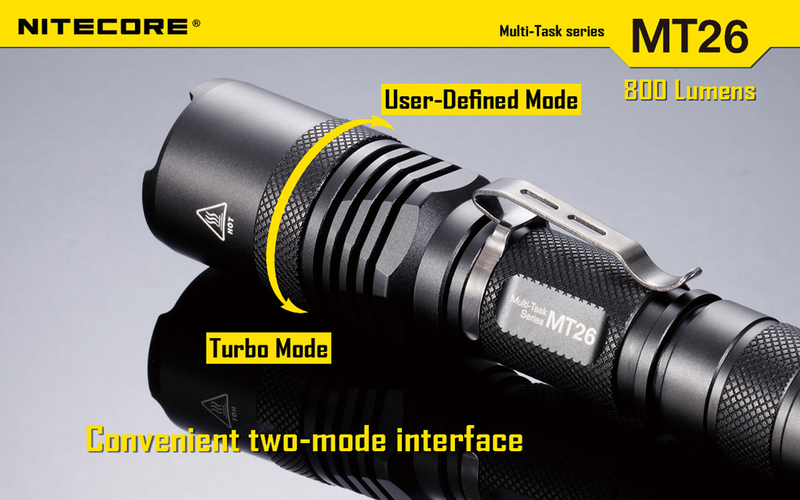 MT Flashlights essentially have two modes: high mode (100% output) and custom mode. 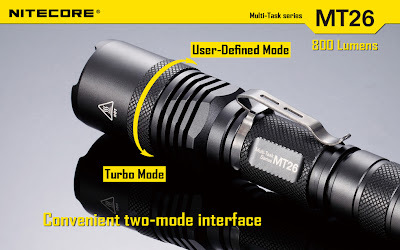 High mode is accessed by tightening the flashlight head while any of one of the four customizable modes (strobe, low, medium and high) are selected by loosening the head and rapidly pressing the on/off switch to cycle through the modes. A given mode can be saved by simply turn off the light while in that mode. Real-world examples include: When used as a flashlight around the home, the head can be loosened and low level selected in custom mode, providing long runtimes at a lower light intensity. The same flight could then be taken out and used a law-enforcemet duty light, with user-defined mode set in strobe, making it easy to alternate between high mode and stobe with a simple twist of the flashlight head. Good post! Nitecore flashlights are really good. Their flashlights have good performance that have attracted more and more users. There are many hot sellers in Nitecore, like nitecore ec23 flashlight and nitecore mt21c flashlight.